Do you have picky eaters? I know I do! Making meals for them is sometimes just plain torture. I have three children, and at dinner time, not one of their plates matches another! It can be so nerve racking at times! I just have to take a step back, and know that it is important that if I am giving them options, at least they are healthy. The most important thing, though, is that they have protein on their plates. Kids need about 1-1.5 grams of protein for every 2 lbs of their body weight. So my 54 lb child, (she weighs herself every night hoping she’ll start to gain some weight!) needs 27-40 grams of protein a day! 1. My kids like scrambled eggs with syrup on them. I know it’s like feeding them candy by using the syrup, but at least they are getting their protein right? 2. They also LOVE hardboiled eggs. I mean they would eat them everyday at every meal. I just don’t do that because I don’t want them to get burned out on them. 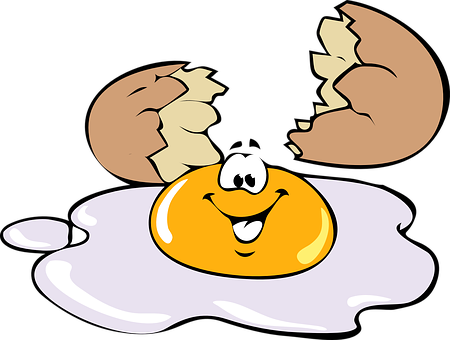 I really don’t know how I found an item that all three love, let along stinky hardboiled eggs! I like these too, so my poor husband has to smell them all the time! 3. 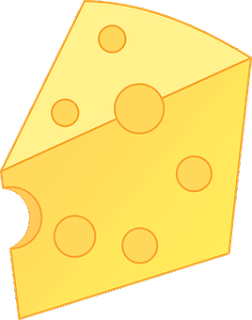 Any kind of cheese. String cheese, sliced cheese, flavored cheese, cheese blocks, they’ll eat them all. 4. Another one that seems to keep disappearing from my fridge is yogurt. When they are hungry and I tell them to grab something healthy for a snack, more often than not, it's yogurt. I swear I’ll fill my fridge and 2 days later it’s gone. I guess that’s what happens when you have 3 growing children! 5. Milk! My kids get Almond milk but even cow milk has great protein. I put it in their morning shakes, at least one cup to drink a day, and with their cereal. 6. As much as I hate it, my kids get fed bagged chicken a lot. You know the big bag of chicken nuggets, or honey bbq bites? They are just so easy, and a quick way to add protein to their plates. 7. My oldest, loves chicken salad. She requests it for her lunchbox at school with some crackers to put it on. 8. MY son loves hamburger. The other two will tolerate it, but he seems to inhale it when I give it to him. Hamburgers and mini meatloaves are his favorite! 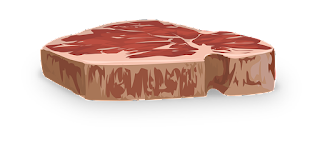 While on the topic of beef - steak! My kids have gone in phases between liking it and not, but they have all loved it at some point. 9. 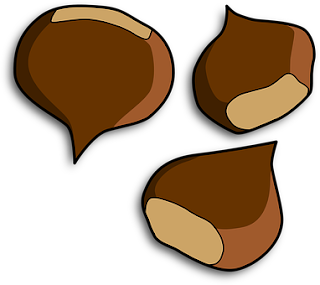 My oldest does not like nuts but the other two do. Peanuts are a favorite of my middle child and Cashews are a favorite of my youngest (way to have expensive taste buddy). I usually give these to them just as snacks throughout the day. 10. Peanut Butter! All three of them get banana peanut butter shakes every morning (which may be why my oldest is sick of peanut butter). I just feel like it’s a great way to start their day, and I don’t feel as bad when they run out the door on the way to school with an Eggo waffle, or a Nutrigrain bar. 11. FINALLY: When we are on-the-go, I find it even more challenging to find healthy snacks that I can bring for my kids. They love granola bars, so I’ve started giving them Clif Kid Zbars – Protein Snack Bars. They have more protein than most so I feel better giving them these, which will fill them up more. 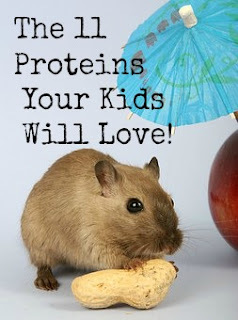 Are there any other proteins that your kids love? Please share! I’m always looking for new inventive ways to get the good stuff into their bellies! Very informative tips. Very helpful to new or upcoming parents.